A view of the Tonawanda Coke plant in Tonawanda, N.Y., which was found to have emitted carcinogens at levels many times higher than the state's limit. 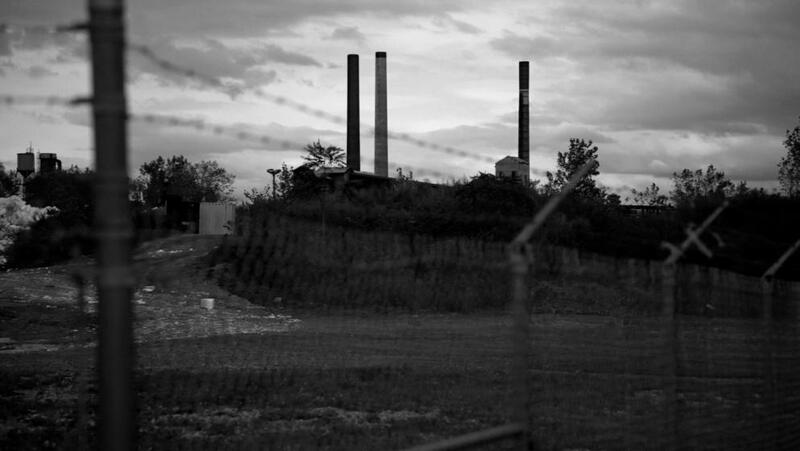 The residents' long fight to definitively link the pollution with their illnesses, and to hold Tonawanda Coke accountable, were profiled in NPR's 2011 investigation "Poisoned Places." The University at Buffalo said Monday that it's planning an $11 million study on the health of the town's residents. After convicting Tonawanda Coke of violating environmental laws, a federal court ordered the company to fund the study as part of a criminal sentence. But the work remains on hold pending the company's appeal of its 2013 conviction and sentence. Shortly after Tonawanda Coke and its environmental manager, Mark L. Kamholz, were sentenced, U.S. Attorney William J. Hochul Jr. said the company had "released hundreds of tons of poisonous, benzene-laden gas ... into the atmosphere." Hochul called the pollution "the equivalent to releasing known killers into the community." If the university study goes forward, researchers would track the health of up to 38,000 Tonawanda-area residents. The study would look at their incidence of several health problems, including cancer and cardiovascular disease, as well as kidney and chronic respiratory diseases. Researchers would also look back at health records of company employees, to see if the workers were more likely to die from problems associated with exposure to coke oven gas, according to the university.